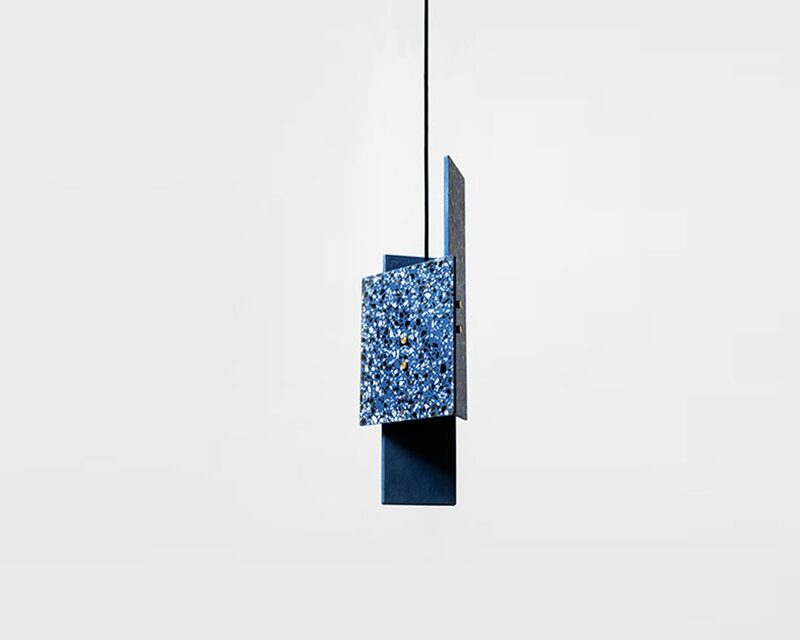 These pendant lamps are available in different colors of terrazzo: white, black, red or blue. 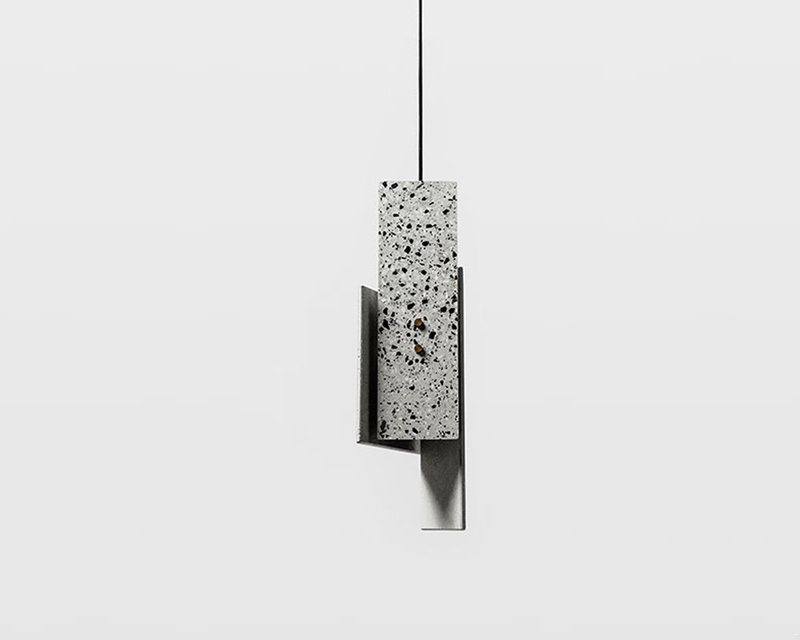 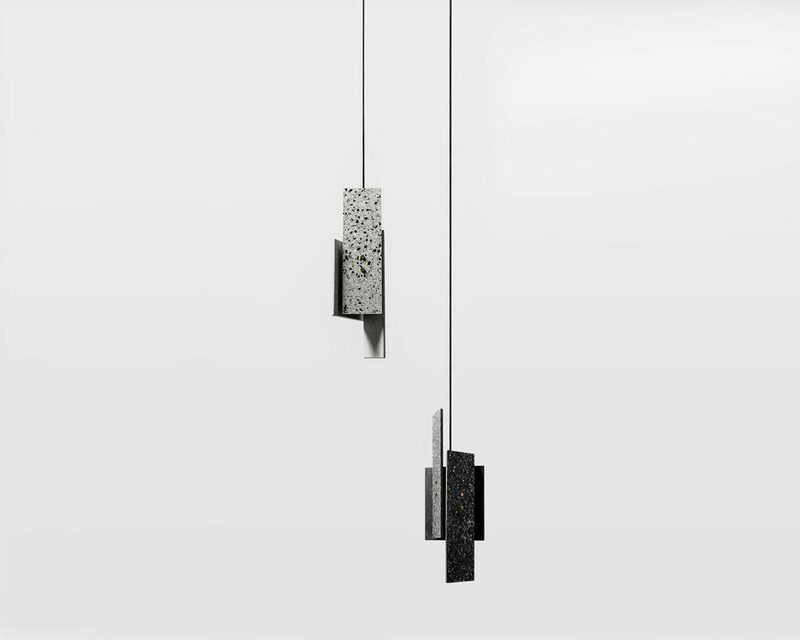 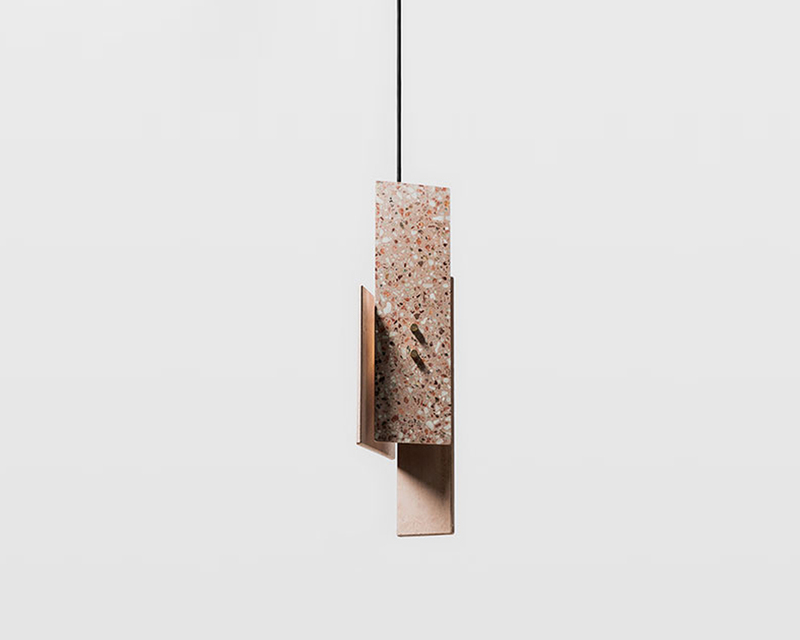 “PIECE” pendant lamps are available in Terrazzo (black, white, red or blue). 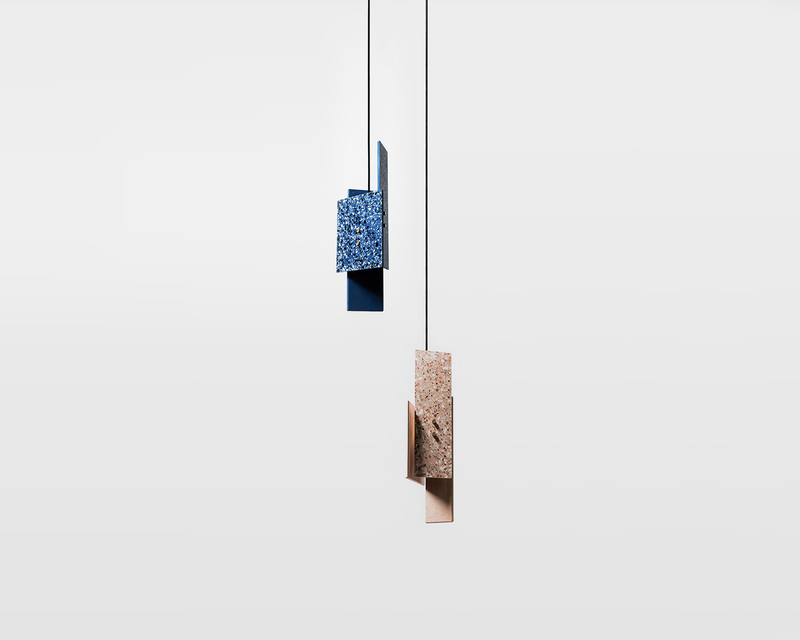 These lights are have been conceived by the young designers of Studio Bentu based in Guangzhou. 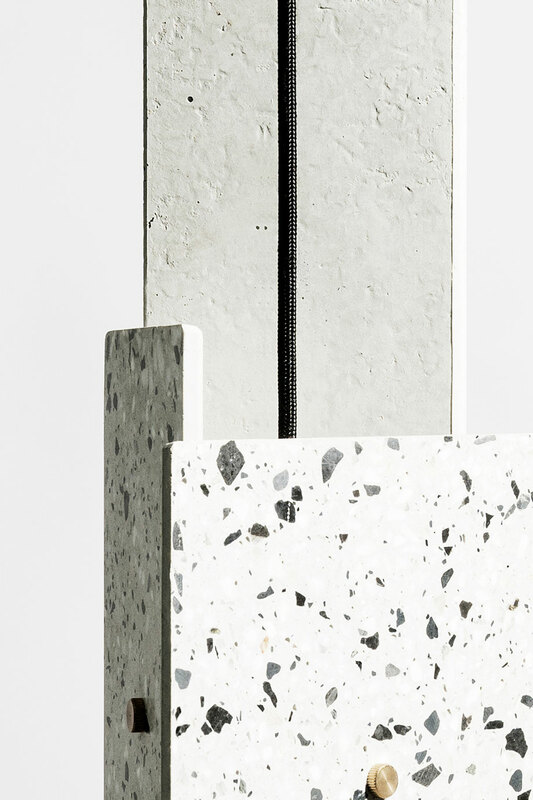 Their furniture derives it’s uniqueness from the simplicity of it’s forms and it’s materials. 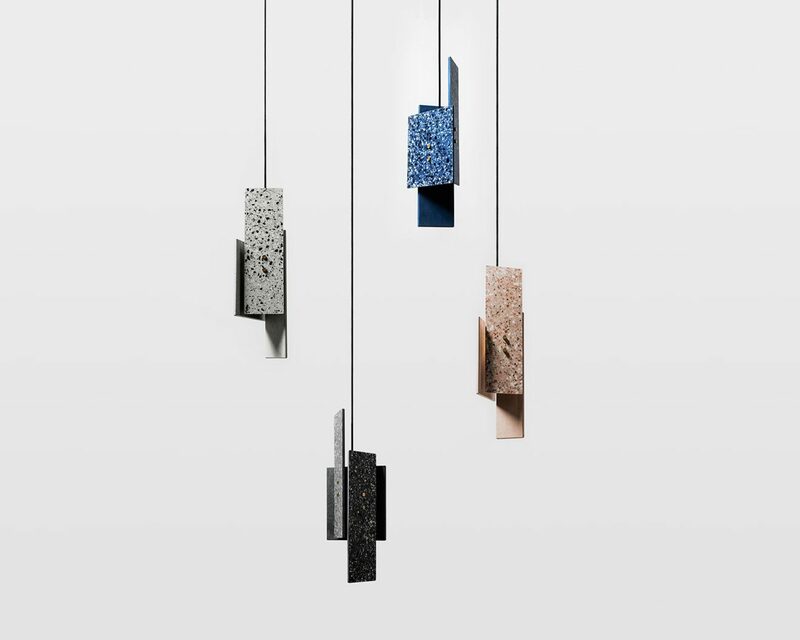 Designed and manufactured by the designers of Studio Bentu themselves, these lamps, coffee tables, cup-boards and seats all have in common the use of concrete. 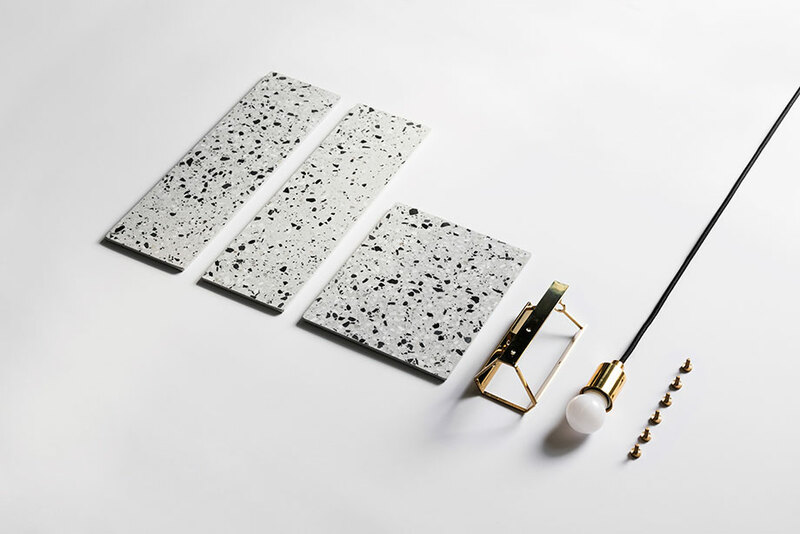 This material that is usually reserved for construction use, finds here a certain nobility. 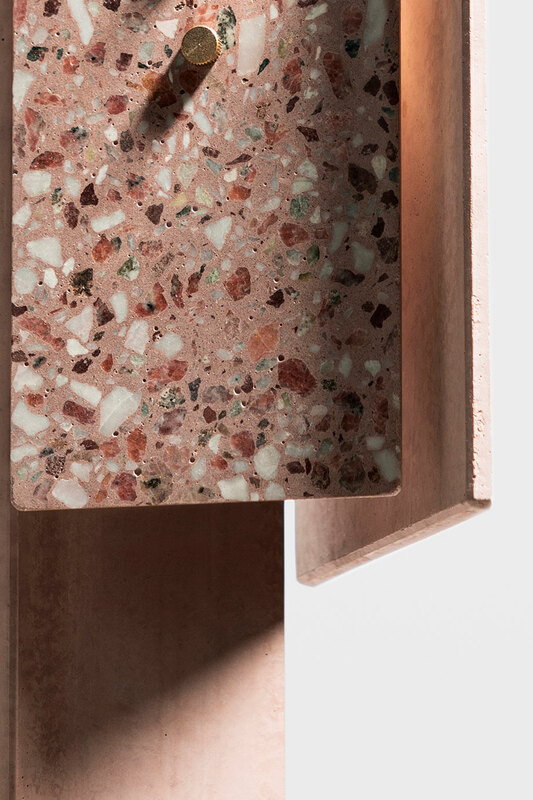 The patterns that are created by the grains of this material once it flowed and unmolded is what gives the creations of Studio Bentu their originality. 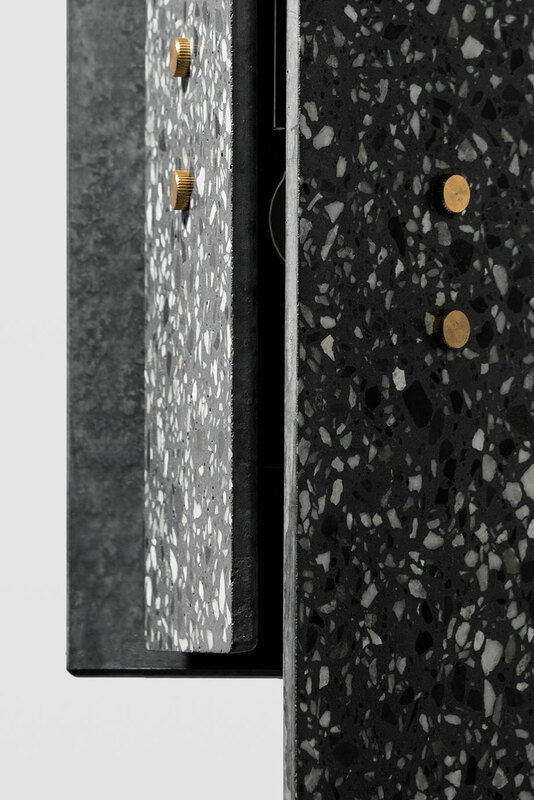 Accompanied at times finishings that are more valuable like marble or polished brass, making concrete a more suitable material for furniture.